Laura S. asks: Who was the first to come up with the idea of using passwords for computers instead of other authentication? …from the tenth maniple of each class of infantry and cavalry, the maniple which is encamped at the lower end of the street, a man is chosen who is relieved from guard duty, and he attends every day at sunset at the tent of the tribune, and receiving from him the watchword—that is a wooden tablet with the word inscribed on it – takes his leave, and on returning to his quarters passes on the watchword and tablet before witnesses to the commander of the next maniple, who in turn passes it to the one next him. All do the same until it reaches the first maniples, those encamped near the tents of the tribunes. These latter are obliged to deliver the tablet to the tribunes before dark. So that if all those issued are returned, the tribune knows that the watchword has been given to all the maniples, and has passed through all on its way back to him. If any one of them is missing, he makes inquiry at once, as he knows by the marks from what quarter the tablet has not returned, and whoever is responsible for the stoppage meets with the punishment he merits. Roman historian Suetonius even mentions Caesar using a simple cipher which required the recipient to know a key, in this case the correct number of times to shift the alphabet, to decipher the message. Something we should mention before continuing is that Corbota is hesitant to take credit for being the first to implement a computer password system. He suggests that a device built in 1960 by IBM called the Semi-Automatic Business Research Environment (Sabre), which was (and still is in an upgraded form) used for making and maintaining travel reservations, probably used passwords. However, when IBM was contacted about this, they were unsure if the system originally had any such security. And as nobody seems to have any surviving record of whether it did, Corbato is seemingly universally given credit for being the first to put such a system on an electronic computer. Of course, an issue with these early proto-passwords is that all of them were stored in plain text despite the gaping security hole this introduces. There was a way to request files to be printed offline, by submitting a punched card with the account number and file name. Late one Friday night, I submitted a request to print the password files and very early Saturday morning went to the file cabinet where printouts were placed… I could then continue my larceny of machine time. This “larceny” was simply getting more than the four hours of allotted daily computer time he’d been granted. Scherr then shared the password list to obfuscate his involvement in the data breech. System admins at the time simply thought there must have been a bug in the password system somewhere and Scherr was never caught. We only know that he was responsible because he sheepishly admitted almost a half century later that it was he who did it. This little data breach made him the first known person to steal computer passwords, something the computer pioneer seems quite proud of today. Hilariously, according to Scherr, while some people used the passwords to get more time on the machine to run simulations and the like, others decided to use them to log into the accounts of people they didn’t like just to leave insulting messages. Which just goes to show that while computers may have changed a lot in the last half century, people sure haven’t. As a way to get around the whole plain text password problem, Robert Morris created a one-way encryption system for UNIX which at least made it so in theory even if someone could access the password database, they wouldn’t be able to tell what any of the passwords were. Of course, with advancements in computing power and clever algorithms, even more clever encryption schemes have had to be developed… and the battle between white and black hat security experts has pretty much been waging back and forth ever since. On this note of training people to make bad passwords, the blame for this can be traced back to widely disseminated recommendations by the National Institute of Standards and Technology, published in the page turner that was the eight page NIST Special Publication 800-63. Appendix A, written by Bill Burr in 2003. To be fair to Burr, studies concerning the human psychology aspect of passwords were largely non-existent at the time he wrote these recommendations and in theory certainly his suggestions at the least should have been very slightly more secure from a computational perspective than using regular words. So, bottom line, most people choose passwords that are based on information that is easily accessible to hackers, who then can in turn relatively easily create a brute force algorithm to crack the password. Thankfully, while you might not know it from the ubiquity of systems out there that still require you to do your best impression of Will Hunting to set a password, most security advisory entities have drastically changed their recommendations in the last few years. Similarly, even a completely random set of characters at typical password requirement lengths is relatively susceptible to brute force attacks without further security measures. 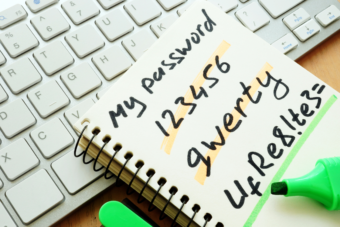 As such, the National Institute of Standards and Technology has likewise updated their recommendations, now encouraging admins to have people focus on lengthy, but simple, passwords. Because of this sort of thing, the National Cyber Security Centre also now recommends admins encourage people to use password manager software in order to help increase the likelihood that people use different passwords for different systems. What Ever Happened to Everyone’s Friend, MySpace Tom? In the age of everyone’s lives being stored online on various companies’ servers- generally all protected by passwords, the University of London noted in a recent study that about 10% of people are now putting a list of their common passwords in their wills to make sure people can access their data and accounts after they die. Interestingly, the problem of people not doing this actually is noted as having caused a major problem after the 9/11 attacks. For example, Howard Lutnick, a one time executive at Cantor Fitzgerald, noted his rather unenviable task of having to track down the passwords of almost 700 employees who’d died in the attack. Because of how critical it was for the company to have access to their files right away before the evening bond markets opened, he and his staff had to call loved ones of the dead to ask for the passwords or what the passwords might be that same day… Thankfully for the company, most of the employees’ passwords were based on the aforementioned flawed recommendations by Bill Burr- the “J3r3my!” variety. This, in combination with specific personal information from loved ones Lutnick collected, allowed a team dispatched by Microsoft to relatively easily crack the unknown passwords via brute force in short order. Interesting article, well done for wading through all that research. Amazing how passwords have evolved through history. I think that now passwords have to be so strong (and different across the board) that they cannot be remembered. I advocate a strong and long password, like your “*^sg5!J8H8*@#!^” suggestion stored on a great password manager (i.e. Dashlane or Lastpass), along with 2-factor authentication. I would even go so far as to suggest developing unusual screen names or usernames, don’t use your real name unless you have to do so. The first example you give isn’t a password, in fact it’s more like a captcha – the test was to see if you could pronounce the ‘sh’ in Shibboleth, which the Ephraimites were apparently unable to do, proving that they were not Gileadites. Kind of like the story of British soldiers asking people who made suspected of being German spies to say squirrel, no? That is interesting though. The biblical story brought to mind the possibly apocryphal tale of US soldiers in WWII South Pacific who supposedly used words with a lot of “L”s in them, because Japanese couldn’t easily reproduce that sound. “Which just goes to show that while computers may have changed a lot in the last half century, people sure haven’t.” – Loved this! Ha! Also very interesting bonus fact about some of the problems faced after 9/11. That’s definitely a problem I never would have even imagined!